Based on our after-school arts program for high school students and set in our four art studios, our school day courses are focused on underserved youth. Because of a strong relationship with Allegheny Department of Human Services, we reach students in group homes and foster care. Through outreach to charter schools, we serve students with a breadth and depth of art resources, knowledge and materials that are unavailable elsewhere. 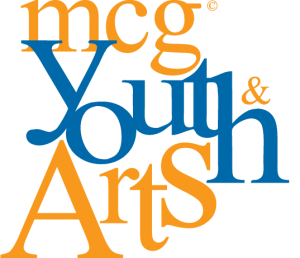 Manchester Bidwell’s MCG Youth & Arts provides an environment that is a safe, nurturing sanctuary for creative expression as well as a climate that instills pride, personal value and hope. We use student strengths to determine individual direction and goals while establishing the mentorship relationships that are the heart of the learning process. Most importantly to these students, we celebrate their successes with them, every day. For more information, please visit mcgyouthandarts.org.